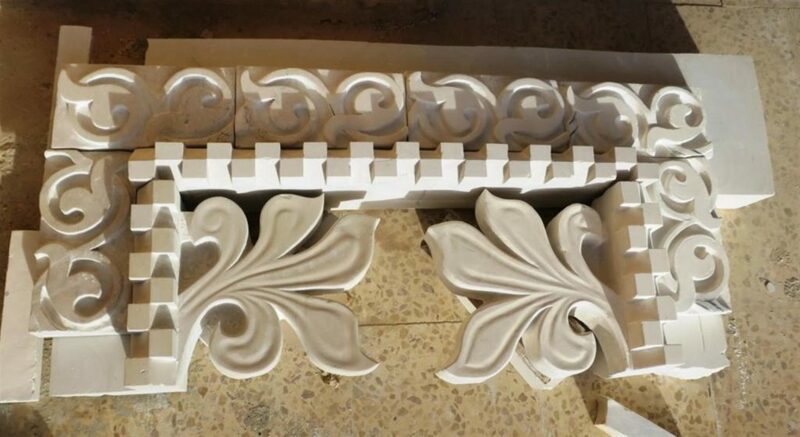 World Monuments Fund Britain has been working in Mafraq, Jordan – twelve miles from the Syrian border – since September 2017 to provide a group of Syrian refugees and Jordanian citizens with traditional stonemasonry skills to become the craftspeople and conservators of the future. Backed by the British Council’s Cultural Protection Fund, a £30million initiative to protect heritage in conflict affected areas, the aim of the training centre is to take three problems and turn them into a solution. The problems: how to conserve extraordinary monumental heritage in Syria, such as the ancient souk of Aleppo. The issue is exacerbated by the depletion of skilled craftspeople therefore, once the dust of conflict settles, there will be few locally to carry out restoration work. At the same time thousands of refugees have their lives on hold, seeking hope. The solution: Train refugees to become craftspeople. Give them a skill – in this case stonemasonry – to help restore their nation’s heritage. Join WMF Britain’s Executive Director, John Darlington to hear more about this remarkable programme in partnership with London Craft Week. The talk preludes ‘What Remains’, an exhibition at the Imperial War Museum jointly curated in partnership with Historic England in which the stonemasonry project features. The exhibition will explore the deliberate destruction of cultural places, the objects and stories that bring them to life and the rebuilding of culture that follows.